Have you ever uploaded a YouTube video and messed up the ranking process? When you try to upload the video for the second time you will get an error telling you that this video is a duplicate YouTube video. So what can we do to bypass this? As they say, when there’s a will, there’s a way! Sounds like a sales article doesn’t it? Well it’s free and it can change the MD5 of multiple files at once. It’s been one of my favorite tools for YouTube since my view script got patched. Oh well. As you can see, it’s a fairly simple piece of software. You can input a file then change the MD5 hash to make YouTube think it’s a brand new video. To be honest, I have no idea what it does to achieve this exactly but it works and keeps me happy! Using it was a little bit confusing at first, so let me run you through this and show you. This can be used for more than just videos. It can change the MD5 hash of any file. So if you’re having trouble with Instagram images or other files. Give this a shot. I’m assuming you already have a video file ready to be hashed. First we need to input your video file. Click this little button and double click on your video file. It will take a few seconds to open up the video and hash it. You’ll know it’s finished when you see it listed down below. Lastly, check the little box and right click on the file name. 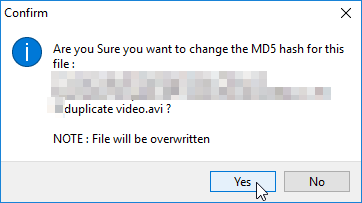 Once you click “Selected File”(You can also just check the box and use Ctrl+M if you’re cool like that) your video should now be unique. Just click yes on the little pop up. But hold your horses, don’t go uploading that money maker yet. If your internet upload speed is slow you might just be waiting to get the same error again. So let’s check if our video is in fact unique. Did you enjoy this trick? Consider subscribing to be notified when I post! 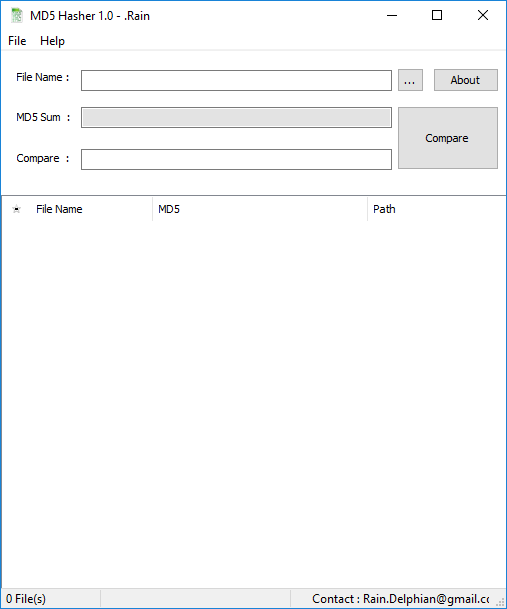 Simply repeat some of the first steps to check the new MD5 change. Open the same file, the same way you did the first time. As you can see it worked for me perfectly! Now you can upload your duplicate YouTube video and face no issues. There are other methods of doing this. In the past I’ve added frames to the video and rendered it again, but that’s too time consuming. Another way I’ve seen is to change the description of the video file here. I’ve never tested this however. I like to stick to the software. As always, leave me a comment if you’d like me to cover something you’re having trouble with and enjoy the rest of your day! Don’t forget to join our Facebook Group! Have you ran into this problem before? very helpful keep up the good work! Thank you, plenty more to come! Could be on Mega’s end, I’ll get a new link soon! Thanks! The Mega link works today. I have added a mirror for you in case it goes down again. Thanks! I'm working hard to create useful content for you to enjoy and profit from! Don't miss out on what's coming next and subscribe!